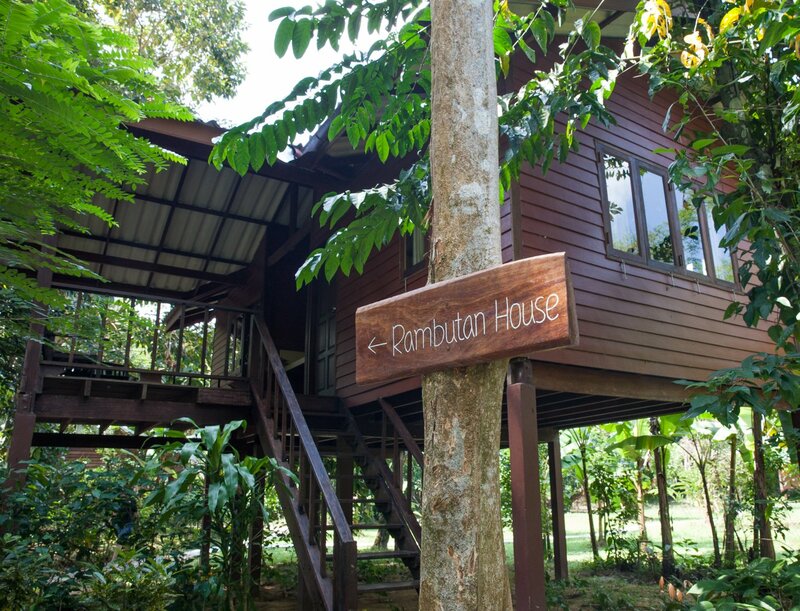 With a large deck overlooking the river and two spacious rooms, Rambutan is the perfect choice for a group of friends wishing to relax together or a family wanting to spread out. 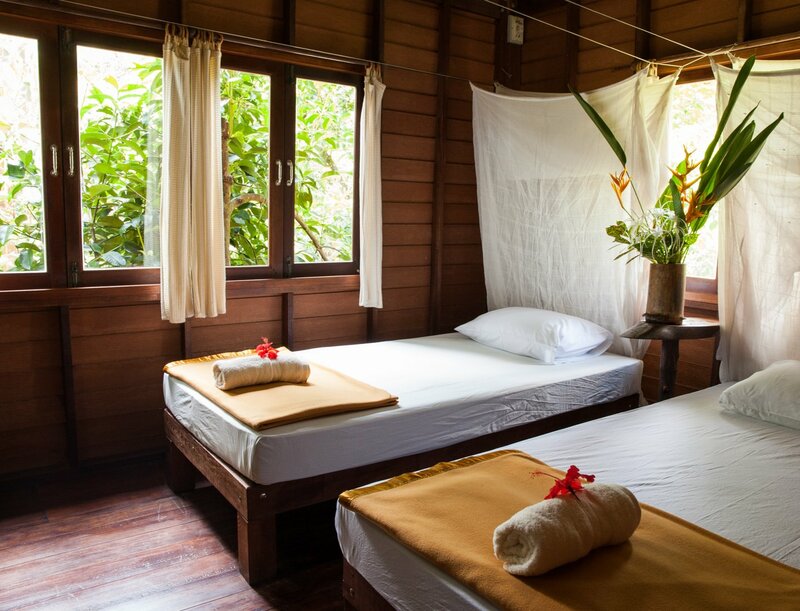 This stilted house is a magic place to relax with a book or a cold drink after an exciting day of hiking or canoeing. 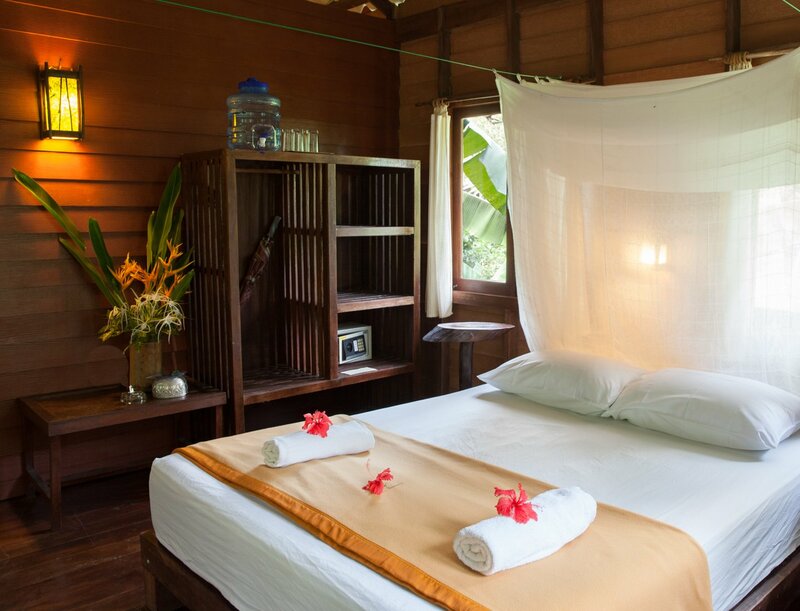 Fall asleep at night to the soft sound of flowing river as the jungle comes to life. 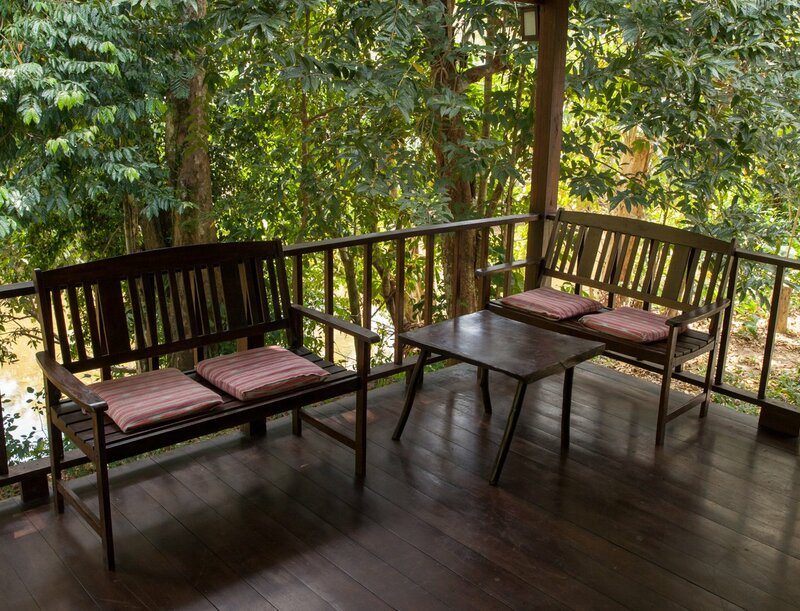 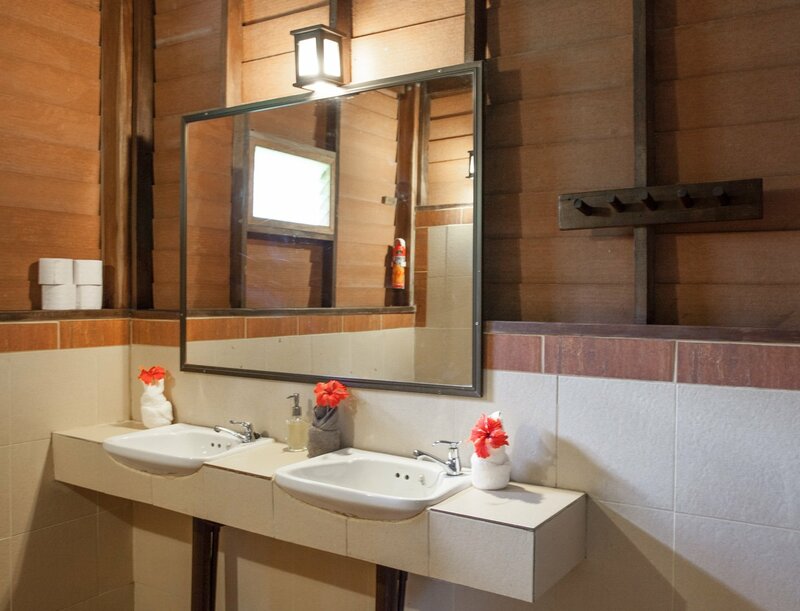 Rambutan is set in our pretty garden area surrounded by hibiscus and bamboo and conveniently located near our reception.